16 colours available -click to see color chart below. 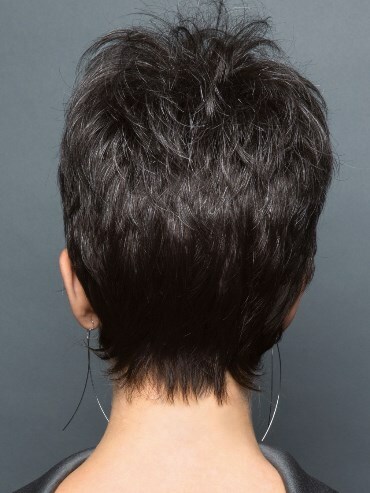 Heather is a col short smart cut with tapered nape and sides. This wig has a spiky top and long fringe for an edgy fun look.. Give the wig a quick shake out of the box and that tousled look or brush it out smooth for a sleek look! The cap is a standard cap construction. Bangs: 5.5" Crown: 3.5" Nape: 2.4"